Thank you so much for coming to visit. It seems like just yesterday that you arrived. I am sad to say it but, farewell fun in the sun, fireworks, and family picnics. So long to sipping lemonade, sleeping in, and slip-n-slides. Goodbye going to the park, pool parties, and play-dates. 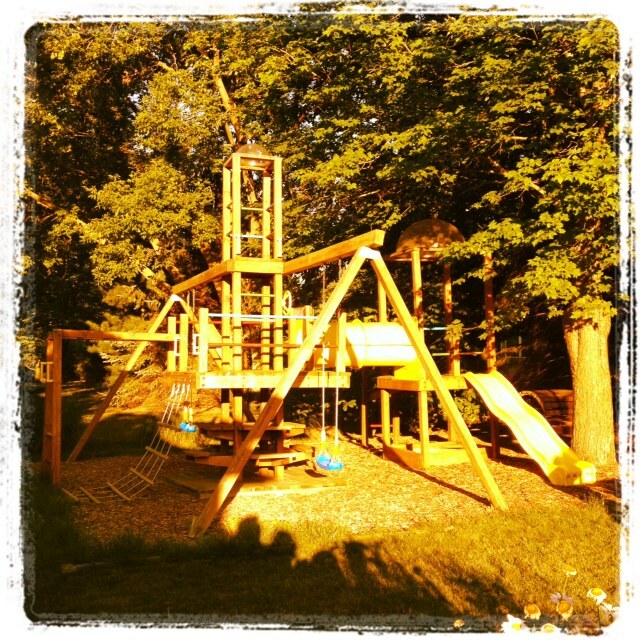 Your favorite activities will be left behind and the playgrounds will be abandoned for a while. But, we enjoyed our time with you. There are so many wonderful memories. Don’t worry, I’ve enclosed pictures for you. Remember all the walking we did in the Las Vegas heat. And the littlest dude was sick with strep. That part wasn’t fun but we made up for it by eating well the rest of the trip. The fast food tour of the West coast was worth it. I loved seeing the family for the first time in five years. WOW. How everyone has grown? Me a little wider. LOL. It was nice to sit and reminisce about childhood. Celebrate graduations and the next phase of life. Soak up some vitamin D on the front porch with you. I’m so thankful that we were able to stay up late and sleep in. No where to hurry off to. People talk about lazy days and stopping to smell the roses (as the expression goes). 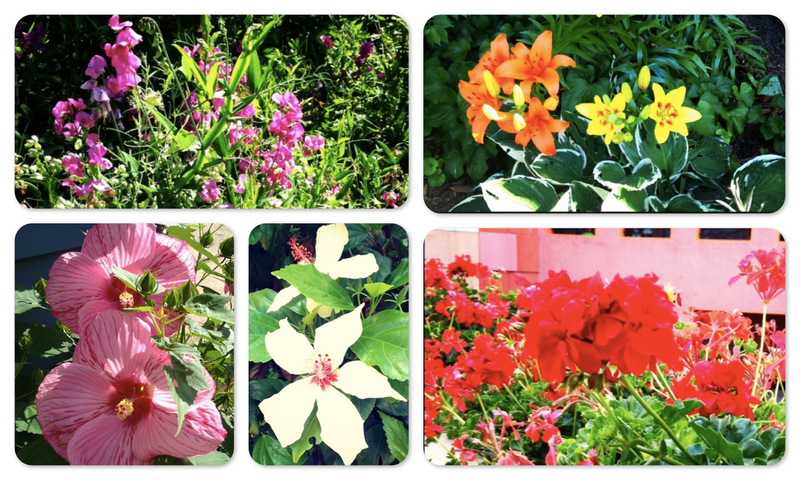 Such beautiful blooms to admire, it was wonderful to stop and smell them along the way. What fun it was to see the sights. Play tourist and buy souvenirs. Like trips to the USMC base, Camp Pendleton, to see the helicopters; the LEGO store; and the children’s museum in San Diego. 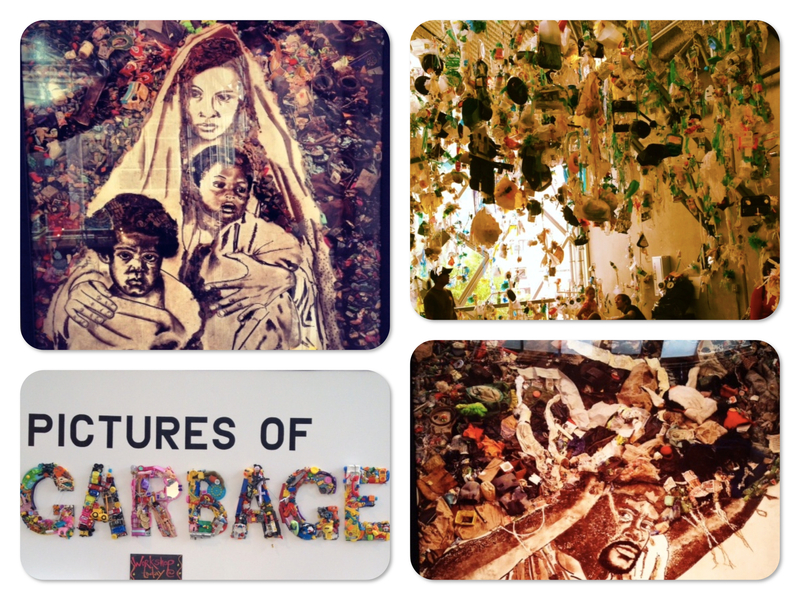 Imagine an exhibit on garbage and recycling. We learned a lot about taking care of our planet because of it. We won’t forget our time together in California. The thing I love about you, Summer, is the meals we share. We had a lot of great gatherings; breaking bread and catching up with all of our friends. Chicken and burgers on the grill; fresh fruit; ice cream … making s’mores over an open fire while watching the sunset … all of your favorite smells and flavors. We read lots of great new chapter books with the boys. And they did some reading on their own which makes me smile. I’m glad it wasn’t all video games and movies. They managed to unplug a little bit too. 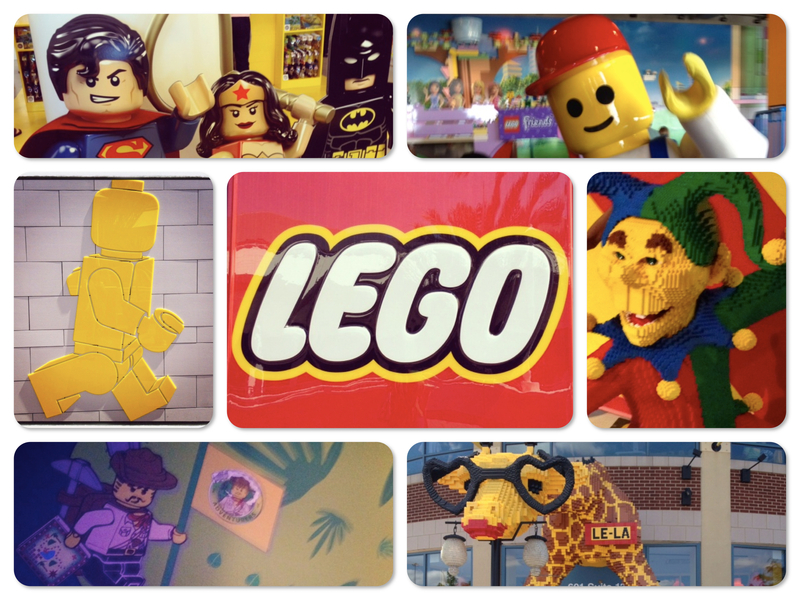 We will cherish the laughter and the tears of our trip to Chicago for Comic Con and LEGOLAND Discovery Center. Two LEGO locations, in two different states, during your visit; how funny. I admit that it wasn’t all good times. There were those moments we had to say goodbye, not like I’m saying goodbye to you now, but final goodbyes to life long friends. People who lived full lives and people who were taken too young. Thankfully, you were here and, we could comfort one another which made it bearable. Another one of my regrets is that we didn’t really make it to the beach. We drove by several while on vacation, but our feet never touched the sand; our toes never tested the water. Oh well, maybe next time you’re in town we can make that happen. Thank you for helping us make the most of the season. Now we have new stories to tell; to hold us over until next year. 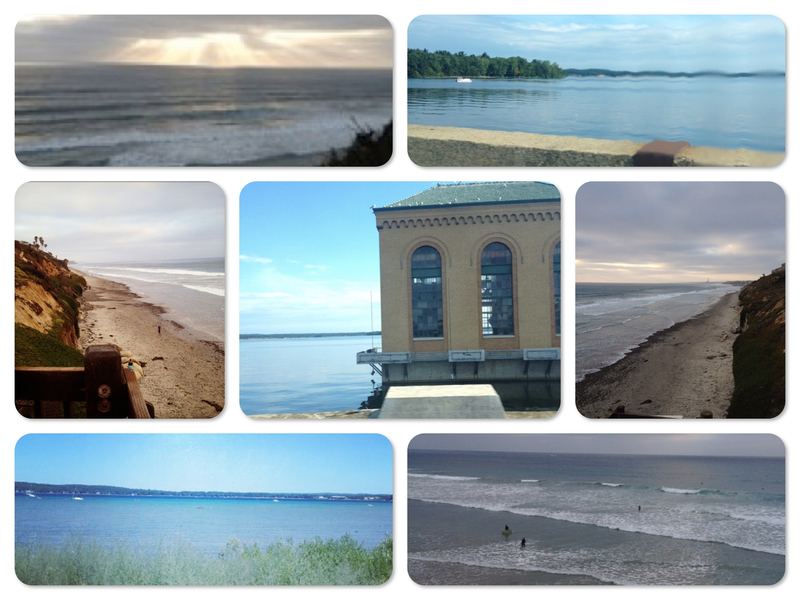 Summer, it’s always hard saying goodbye. We wish you didn’t have to go but it’s time for the boys to go back to school and the rest of us to fall back into our routine. We’ll miss you … Please take care until we see one another again. PS. Next year come a little earlier and stay a lot longer. Spring brings beautiful blooms. 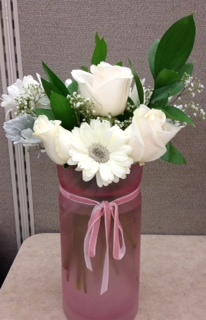 I love fresh cut flowers for my desk and on my dining room table. While my husband was in school, it was an indulgence that we couldn’t afford. So I went without for about 3 years; waiting for special occasions to treat myself to bright bouquets. My favorite flower arrangements include sunflowers and red roses because they were my Dad’s favorites. 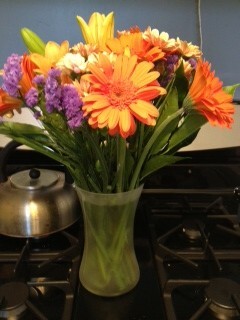 Thankfully, my husband is done with school and we are in a position to have some “just because flowers”. 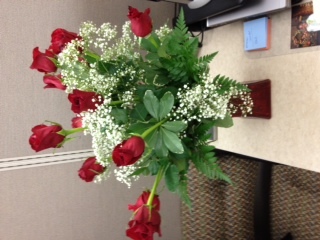 My sweet husband sent me red roses at work for Valentine’s this year along with a box of gourmet chocolates. Of course I was giddy about it. But I also believe in doing things for myself. So a couple of times this Spring I’ve treated myself to flowers because I am worth it. I found a long time ago that I can’t expect someone to do for me what I am not willing to do for myself. Me: Does your boyfriend know the kind of jewelry you like? Me: Well do you own any rings, you’re not wearing any today? Ring-less Woman: No, I’m waiting for him to get one for me. Me: Have you told him you’re waiting on him? Me: Then how will know you like rings if you don’t wear them and you haven’t told him? Ring-less Woman: He should know. Needless to say I didn’t close the sale. If anything I was confused. I couldn’t follow this woman’s logic. She wanted something specific. She had not communicated it. She wasn’t a walking billboard for it. Yet she expected someone else to guess about it. YIKES! Ring – Tie a piece of yarn around your finger. High Heels – I would step on soda pop cans so that they would form to my feet. Flowers – Dandelions would do in a pinch. Even in playing dress up I could find substitutes for the things I really wanted until I was able to get the real deal. I applied that same principle to life when I started working full time. When I met my husband I think I had a ring on each finger. Gold earrings, necklace, and bracelet with my birthstone in it. To round out my jewelry wardrobe I had a gold-plated bangle watch. It was not the one I really wanted because I was eying a Gucci bangle bracelet style watch at the time. But the brand I had was billboard for the dream watch I wanted. Building an outfit started with the shoes and I worked my way up. I had clothes hanging in my closet that still had tags on them (working retail had its advantages). And when we started dating here’s what I told him (right or wrong): I don’t need a man that can’t do for me what I do for myself. I was accustomed to a certain lifestyle. Thankfully, he loved me enough to look past my brash words. The point is if you are waiting for someone else to get you something stop and think … would they know that you believe you are worth it. Because you are! They should be able to see that about you. YOU’RE SOMETHING (fearfully and wonderfully made)!